But, you may ask, “what about my true creative talent?” Shouldn’t one’s sheer skill be enough to get recognized in the workplace and your industry? There was a fascinating experiment conducted by a team of journalists at the Washington Post . The team set off to find out “Can one of the nation’s great musicians cut through the fog of a D.C. rush hour?” They took Joshua Bell – arguably the most famous living violinist in the world – and placed him in street clothes and a baseball cap within a DC Metro station during the morning commute [see the YouTube video]. Bell was also given one of the most expensive violins in the world – one worth millions and normally kept in a museum. He was asked to play some of the finest classical pieces ever written. And so, as thousands of DC residents passed through the hallowed halls of the L’enfant Plaza Station on their way to work, Joshua Bell played his heart out. Of course, this story ends with a startling (but not surprising) realization: Over the 43 minutes that he played, only a few people stopped to listen – and most of those who were asked about the music after passing through the hall failed to even notice. Alas, creative talent of the most extraordinary kind will go unnoticed if not communicated properly. Had Joshua Bell been placed next to a sign proclaiming “World Famous Joshua Bell, After Playing for The President Last Night, Plays For You This Morning on a Multi-Million Dollar Violin,” maybe people would have stopped? This story makes us realize that our creative strengths will go unnoticed if they are not properly communicated to our colleagues, clients, and fans. Truth be told, people value only what they are told. In a world full of constant stimulation, it is every creative person’s responsibility to cut through the noise and broadcast their unique talents. Share projects that you are particularly proud of.If you have a particular talent for vintage-style illustration and thus had two particularly well-known clients that valued these skills, then this should be a point you make with everyone you meet. You can simply share the projects that you feel utilized your strengths most effectively. If on a team, volunteer for projects that engage your strengths.All too often, we wait to be told what to do – even if it is not utilizing our skill set. People get promoted for out-performance, and people only outperform when they are on a project that taps their strengths. As such, you should take initiative to get staffed on projects of interest. This is the work you should actually volunteer for. Get measured for your strengths.When working with a client (or a manager), state up front that you intend to use particular strengths or skills to make the project successful. 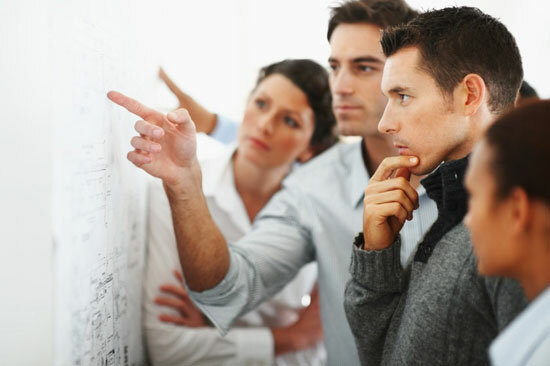 Then, at the end of the project, request feedback on those elements of the project. Ultimately, your strengths are what will distinguish your work. It is your job to ensure that your career path moves in the direction of your strengths. It is also your job to get noticed, so don’t spend your life in the metro station as people in search of great music pass you by.